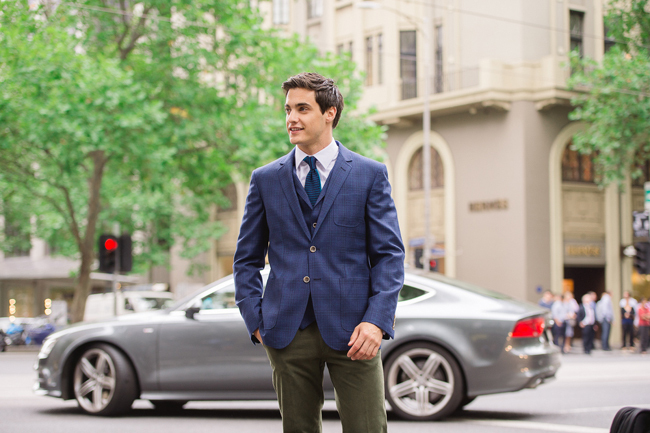 When the late Peter Jackson launched his eponymous label in Melbourne in 1948, it was driven by a passion to provide Australian men with high quality, high fashion menswear at an affordable price. In the 68 years that have followed, much has changed – silhouettes have been refined, the product offering expanded, and stores are being rolled out at breakneck speed across the country. But what hasn’t changed is an unwavering commitment to making fine quality suiting and menswear, fashioned from the world’s best textiles, accessible to everyone. 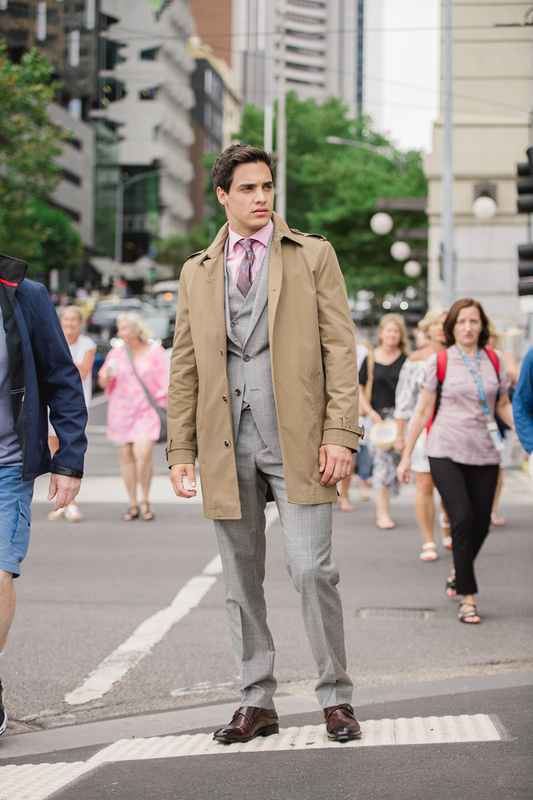 Peter Jackson prides itself on dressing real Aussie men – whether they be professional businessmen, professional sportsmen, or country lads wanting to look their best for a day at the races or their best mate’s wedding. 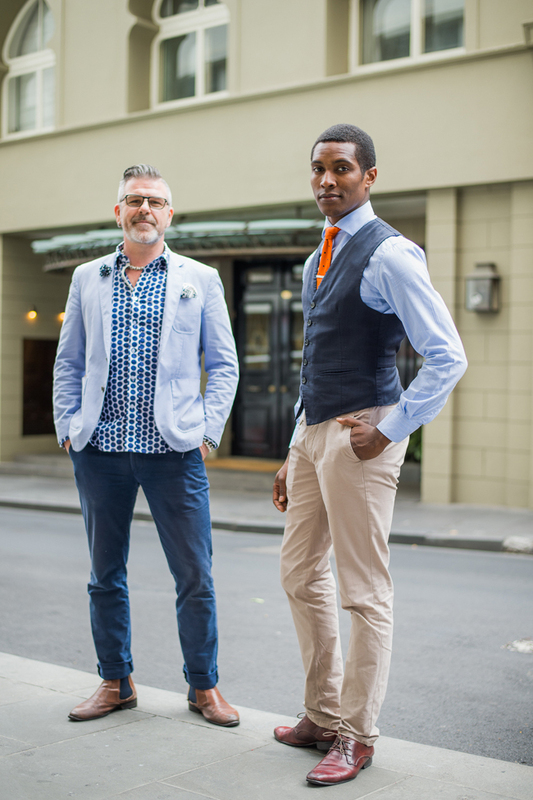 Their Australian-designed suits are made from Australia’s finest merino wool and spun in the best European mills, yet they typically retail for no more than $499 to $599 – sitting in the lucrative “masstige” market between luxury international labels and the fast fashion chains such as Zara and Topshop’s Topman. 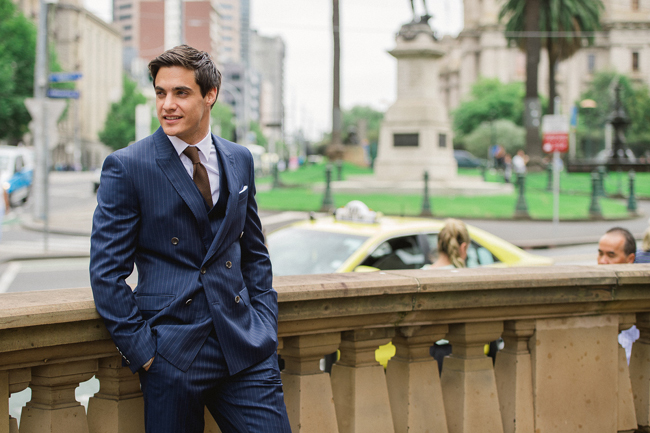 Peter Jackson managing director, Nick Jackson, and design director, David Jackson, are equally passionate about making the highest quality suits, made from the finest fabrics, accessible to all Aussie men. And one of their greatest strengths is in reinterpreting the hottest trends from the European catwalks for the real Aussie male. 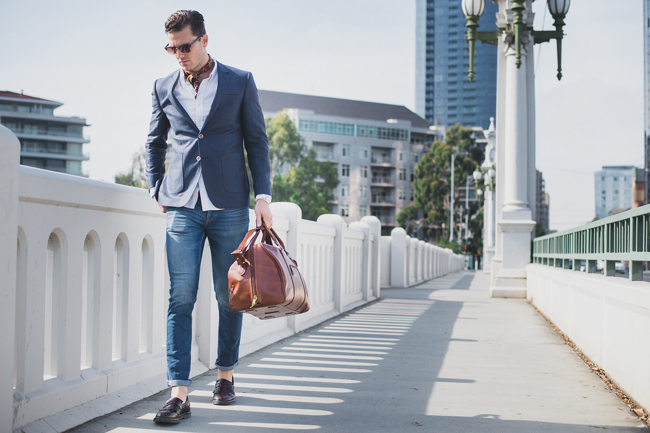 "It’s a really exciting time for men’s fashion in Australia, as men are embracing tailored fashion more than they ever have,’" says David. Nick says Peter Jackson has a distinct advantage over the international luxury and fast fashion menswear brands because it has an innate understanding of the Australian menswear market. "Men are really enjoying shopping for tailored wear these days,’’ adds Nick. ‘’But you won’t see the Aussie male dressed as a peacock. 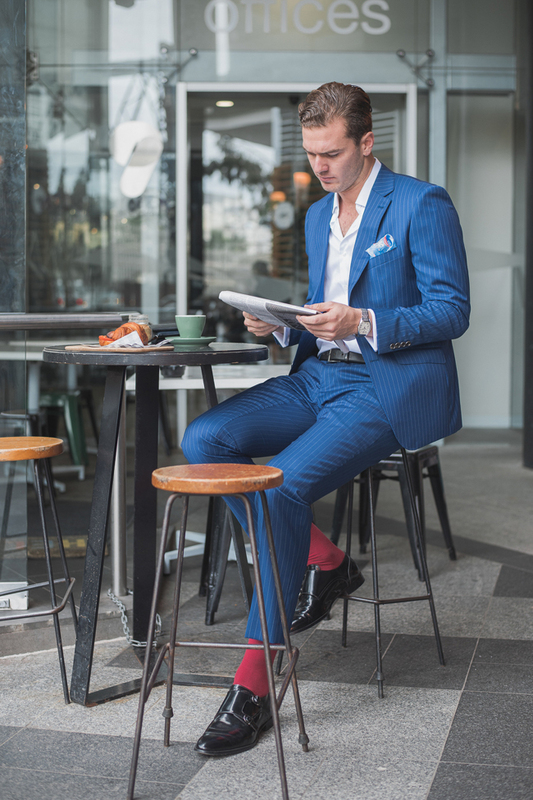 You look at Europe and every second guy is wearing a red hot pant… whereas there is a real masculinity and sophistication to men’s style in Australia." 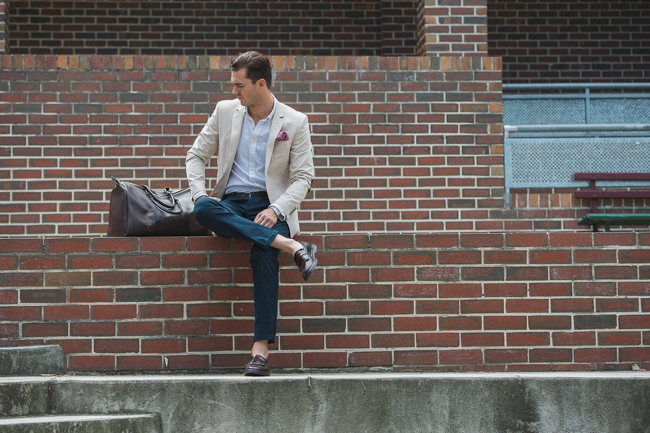 DJ and business entrepreneur Sam Withers says his everyday style is ‘dress to impress’. ‘Chico and Dave’ have a great natural rapport and exemplify Melbourne as it is today - diverse, creative, evolving and exciting! Chico is originally from England and Dave from Ireland and both love the vibe and colour of inner city Melbourne and the people. Dave loves colour and bold men’s accessories including knuckle duster rings and large chain bracelets whilst Chico’s look is classic and tailored to the nines – both guys making a strong style statement in their own right. Dan is a Financial Planner by day and a blogger / model in his spare time. He a group of mates started “The Gallant Army” www.thegallantarmy.com and have fun experimenting with fashion. For winter, Dan will be wearing warm turtle necks, leather gloves, well cut leather jackets, tweed trousers and leather boots – for him timeless style overrides current trends every season. Dan has worked and lived all over the world and has documented his travels using one of the 1960s point and shoot cameras from this extensive collection. Through the lens, Dan has been influenced by stylish locals in London and Milan and references their street style when he curates his own wardrobe.